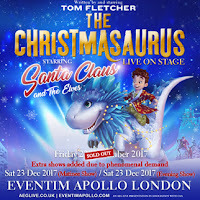 At a special preview earlier today McFly musician, performer and writer Tom Fletcher announced that his musical based on his first bestselling children's novel The Christmasaurus is coming to London's Eventim Apollo from 21st-28th December. 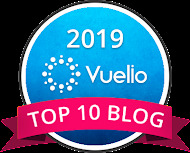 The musical is based on Fletcher's 2016 novel of the same name, which was nominated for the Children's Book of the Year and follows the life of young boy's adventures across the North Pole. 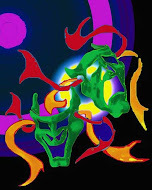 Directed by Derek Bond and adapted for the stage by Miranda Larson. the show will feature music, animation, magic with Tom Fletcher being joined on stage by Carrie Hope Fletcher, Matt Willis, Harry Judd and Giovanna Fletcher. It will feature sleigh bells, dancing elves and a special appearance from Saint Nick - the biggest star in the world; Santa Claus, accompanied by his singing and dancing Elves and of course, The Christmasaurus! 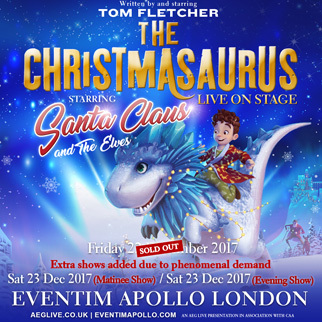 Tom has written new original songs for 'The Christmasaurus Live' which makes him the first ever bestselling author to bring their book to life through music. On Tuesday December 13th, there will be an exclusive musical preview of 'The Christmasaurus Live' on this year's Royal Variety Performance. Judd and Tom Fletcher are both members of the band McFly, while Willis performed in Busted. The trio combined to form a supergroup, McBusted, which toured the UK from 2013 to 2015. Willis' further stage credits include Wicked, Flashdance and Footloose. Carrie Hope Fletcher's previous stage credits include Les Miserables and The Addams Family, which is about to conclude a UK tour, while Giovanna Fletcher made her concert debut in a one-off performance of Alan Menken's A Christmas Carol at the Lyceum Theatre last year, also starring Carrie Hope Fletcher. Fletcher has also announced that The Christmasaurus will be adapted into an animated feature film, directed by Michael Gracey (who makes his directorial debut with The Greatest Showman on Earth which opens this Christmas and stars Hugh Jackman and Zac Efron).